See below our selection of available packing materials and please note the prices shown may be subject to change. Unlike some packaging suppliers, our boxes are all robust and doubled skinned to ensure maximum protection for your goods. All come flat packed ready for assembling. 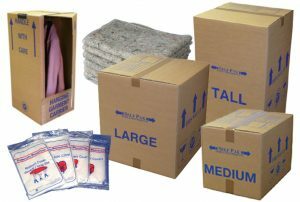 All these items can be delivered prior to your move and will be subject to a delivery charge, please contact us with your requirements.